Schedule client/customer for service and operator/technician will be able to view route. Operator/Technician will be able to create a quote and store information on the cloud so that office will be able to viewa and process. Create invoices, assign invoice to schedule payment plan. Keep track of receivables, notes, appointments. Email all forms to client. This process is also viewable on webportal or smart phones, smart tablets. 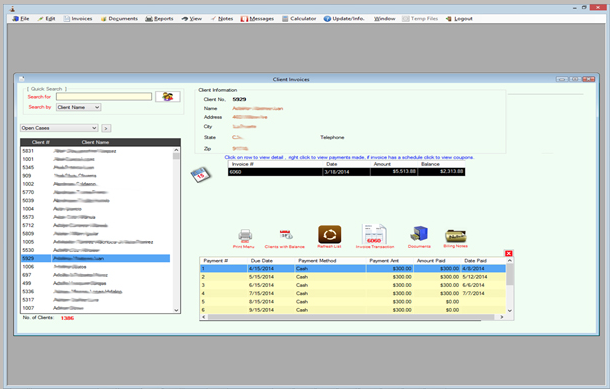 Keeps track of customers and software able to schedule Manifest / Grease Collection. Drivers upload routes. On location driver will enter grease collected and capture signature. Upload information to the Cloud. Office recieves informaiton, ready to bill. Finger Scan software is a mobile live scan service. Scans all fingers on both hands. Stores scan finger print and able to print finger scanned on legal forms. Please fill out in a brief statemet type of business. Large/Small companies commonly use custom software for critical functions, including content management, inventory management, customer management, human resource management, billing statements, receivables, or otherwise to fill needs that existing software packages cannot. Custom software is software that is specially developed for some specific organization or other user. As such, it can be contrasted with the use of software packages developed for the mass market, such as commercial off-the-shelf (COTS) software. Custom software can be developed by an in-house software development group, or be commissioned from a software house or independent software developer. Now with internet growing stronger each year, custom software can be integrated with web pages that run on database functions. Now with smart phone, we can integrate live data into your mobile device. Our service area includes Los Angeles, Ventura, Orange counties.